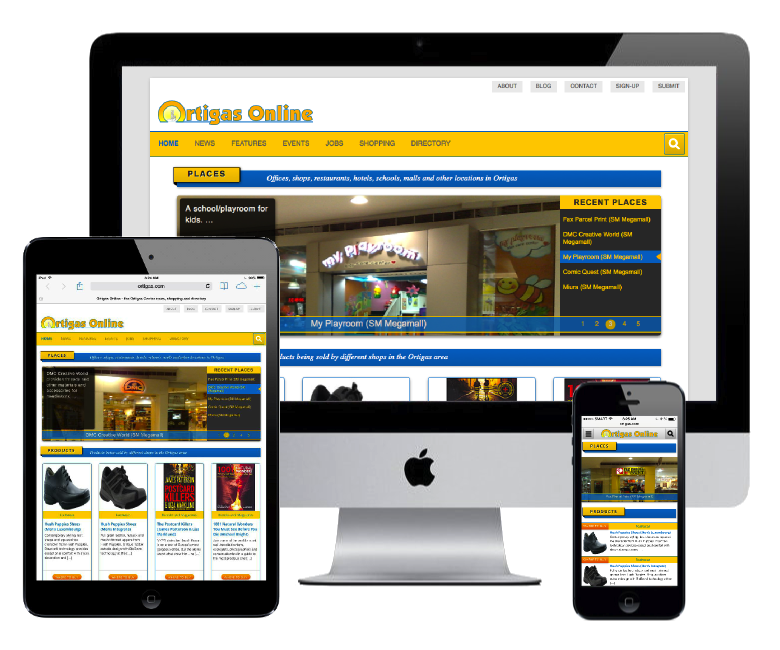 To provide a better experience when visiting Ortigas Online, we have just updated the site so that it will work better on your mobile device of choice. Also when browsing a piece of directory information with a map, we have include a feature to allow you to locate your current location to give you an idea where you are and the place/location you are browsing. More updates will be coming to Ortigas Online to provide you with a better community site!